New in Italy but a manner of speaking, Bikram Yoga has existed for more than forty years and is practiced today by some fifty million people worldwide. In the heart of yoga is a practice developed for the spiritual growth of your inner self, endless possibilities in the most of themselves. The practice allows you to find your way in this field of infinite possibilities. With training and practice, We live to create beauty in the world. A beautiful ancient and ever new. It's never too late for those in search of truth. The beauty who returns to his home, as a premonition of being touched by the mystery of infinity. It's never too late for those in search of truth and discover that you can change your inner state, certainly any time you like. Starting with yourself, you can change the world and become the change you want to see around you. 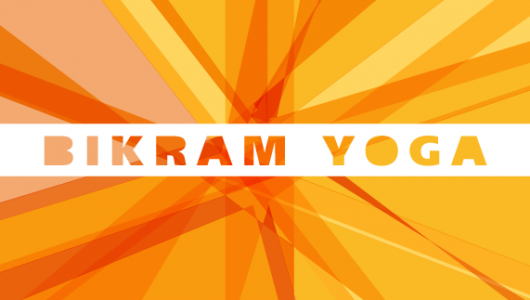 The practice Bikram Yoga can learn to use your talents as a higher evolutionary tools of transformation for yourself and your life. And 'demonstrated by studies of many research universities in the world (various publications including the Los Angeles and University of Tokyo), that the lesson Bikram Yoga has an effective beneficial effect on the health of the person, acting on the metabolism, the immune system, the nervous system (sympathetic and parasympathetic) as well as endocrine, locomotorio (bones, muscles, tendons, ligaments, joints), respiratory, cardiocirculatory, reproductive and lymphatic. An intense and immense charitable work in 360 gradi. Let your imagination opens up to this practice, and while you imagine during yoga class trying to enlighten you of new resources, as love for yourself, for the other, for all that surrounds you. In the heart of your experience, pass through this time imagining that you have all the qualities of people who deeply admire and want to have. That great person you are imagining they slowly begin to bloom like a lotus flower. It 's just a matter of practice. Happiness is not a place to get, but a way of traveling.. I'll wait !